What’s the difference between a non-believer that can’t walk by faith and a believer that doesn’t? This question has been popping to mind recently. Our non-believing friends do NOT have the Spirit of the Living God residing in them, empowering them, and enabling them to walk by faith. 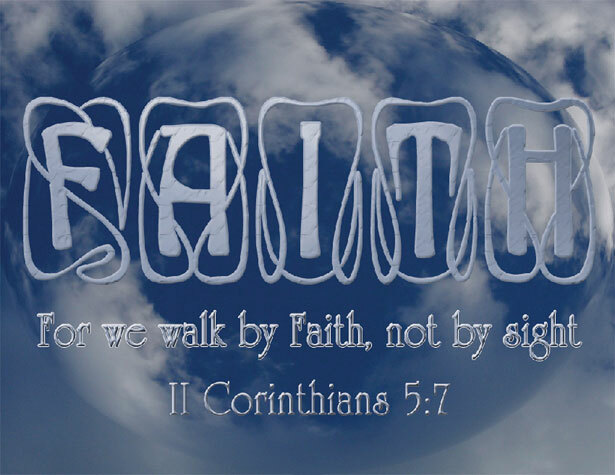 They do not have the Resource to walk by faith. They simply can’t. In what ways do I live just like a non-believer? Knowing that the Spirit of God lives in me, how does that change my decisions, choices and the way I live? How does my life look different from a non-believer’s to a watching world? In what ways is the glory of God manifested in my life to those around me? How do others see and experience the Spirit of the Living God through me? What evidence is there that I am walking in faith, doing that which I cannot accomplish in my flesh, in my own strength? I ask again: What’s the difference between a non-believer that can’t walk by faith and a believer that doesn’t?